Chicago, Illinois, June 6, 2017 –- (RealEstateRama) — Professional garage doors installation and Repairs Company, J&J Garage Door and Electric Openers, announced achieving a significant milestone of installing its 1000th garage door. Having been in the business for 15 years now, the company has created a niche for itself due to its commitment to high quality products and services. The skill of J&J Garage Door and Electric Openers in the sales, installation, maintenance and repair of commercial, residential and industrial garage doors and door openers is reflected in the fact that it has now crossed the four-figure mark in garage door installation. The company has created a name for itself in the Chicagoland area and its surrounds through its wide range of high quality garage doors, as well as a comprehensive line of garage door hardware, garage door openers, weather seals, battery back-up systems, remotes for garage door and a range of other accessories to allow clients to customize both their garage door and its operation, based on their lifestyle and preferences. The company also offers free consultation on different types of residential, commercial and industrial garage doors and electric openers, and is available for free estimates of maintenance and repairs required for any garage door or its associated hardware. J&J Garage Door and Electric Openers takes pride in providing same day garage door and opener repair services, a one year warranty on labor against new garage door installations and a 7-day free estimate facility to its customers. The team at the company consists of highly skilled and qualified professionals, with wide experience in all aspects of installing, maintaining and repairing garage doors and door openers. The company also offers 24/7 emergency services to help clients resolve issues at the earliest, before the problem can lead to inconvenience or stress. J&J Garage Door and Electric Openers also offers inspections for safety audits and to diagnose and repair faults. Besides installation and repair services, the company also supplies parts and accessories, such as hinges, cables, door springs, rollers, safety beams, etc. The team also undertakes installation and repair of insulated garage doors for commercial and residential properties. Especially for commercial properties, the company offers a wide selection of heavy duty commercial doors that have been designed keeping in mind the needs of commercial or industrial premises. Any new commercial door installed by the company comes with a 10-year warranty from the manufacturer, along with J&J Garage Door and Electric Openers’ labor guarantee. About J&J Garage Door and Electric Openers: Founded in 2002, J&J Garage Door and Electric Openers is a professional garage door sales, repair and maintenance company operating in the Chicagoland area. 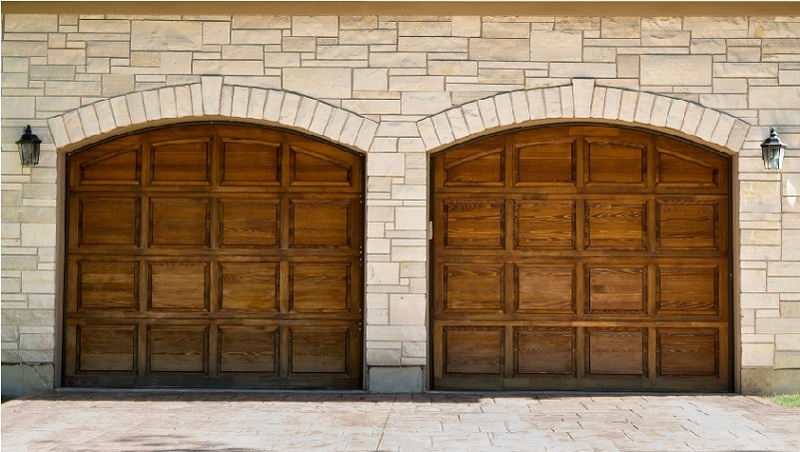 The company offers a wide range of residential, commercial and industrial garage doors and associated accessories. Some of the offerings from their product line include car garage doors, rollup doors, sectional steel garage doors and even parking garage grilles. J&J Garage Door and Electric Openers also run a 24-hour emergency response service for repair related requests and provides repair estimates free of charge.